Hello, I have been given an electric treadmill and wish to start using it but I have a couple of concerns. Firstly I have doubled my body weight due to medical illness, I was 11.5 stone and am now 19.5, but the hospital gave me two types of steroids to assist my illness which I no longer take. Now I want to start using the treadmill but should I walk or run? Also, how long should I do this for? Plus should I do this once a day or more? Thank you for your question regarding the treadmill. Kudos to you for taking the first step towards better health! I see you mentioned that you have a medical illness. I would highly recommend checking with your doctor before beginning any type of exercise program. You want to make sure you’re healthy enough for physical activity plus you want find out if you have any limitations with regards to your medical illness. Seeing as that you’re new to the treadmill, it's best to begin with walking. Walking once a day for 20 minutes 3 to 4 times a week is ideal. Eventually you will increase your walking time to 30 minutes and then gradually add small amounts of running as your endurance builds. For example, run for 15-20 seconds and then walk for 1-2 minutes, do this for 30 minutes. Of course these times are variable depending on your current fitness level. A great rule of thumb is to listen to your body; it is very good at letting you know your limits. 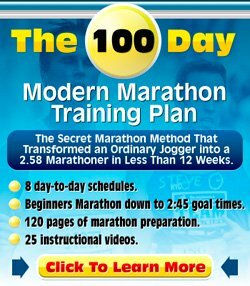 Also see the beginner running programs on this site for some run/walk programs. An important, yet often "forgotten" key element with any workout is cooling down and stretching. Don’t just hop off the treadmill when you’re finished, slow your pace and continue walking until your heart rate & breathing slow down, about 5 minutes. After you have finished cooling down, you need to spend some time stretching your quads, calves, hip flexors & hamstrings. Stretching after a run helps build up key muscles used for running and helps prevent injury. Also see the running stretches page. 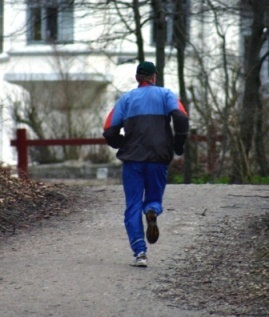 Remember to start out easy and gradually increase your pace each week avoiding the temptation to overdo it.